Small investment, Big Impact! This PA package packs 2,200 Watts of top notch sound and is available for rent for your next event. This set up is Awesome for anyone that wants to be heard loud and clear and enjoy plug and play simplicity. The Perfect Package Deal for any DJ that wants to provide premium full-range audio for small to medium sized events. This Package brings top of the line audio quality with the addition of some serious bass! There are few events that would require more power than what you get when you rent the Bang 4 Your Buck package! If this sound system doesn't get you pumped you better check your pulse. Seriously, this is the arguably the highest quality set-up available to anyone today! These speakers have been getting 5 Star reviews consistently since their release. Words however cannot describe... you will have to hear and feel this set up in real life to fully understand just how epic it actually is!!! Want to check stunning audio off of your to do list? We’ve done enough events to know what will work best for you! 3800 Watts of full range crystal clear audio!! All Stands, Power Accessories, and Studio Grade Quad Core XLR Cables included FREE with every rental. 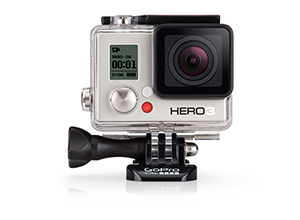 PS- Go Pro cameras also available now! We have everything you need--if you don’t see it just ask!